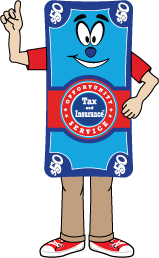 Opportunity Tax and Insurance Service of Forest Park is your locally owned and operated tax preparation and insurance location. We offer full-service tax preparation services, competitive auto insurance and a range of ancillary products to meet the needs of our customers. We are proud supporters of the Forest Park Police Department and the Forest Park community. We hope to be your one-stop-shop for your financial services! Keep more of YOUR money when you use Opportunity Tax and Insurance. With Opportunity Tax and Insurance, you're not alone! Opportunity Tax and Insurance Service offers a variety of tax services and financial products to simplify your life. Bring in all your tax related documents (such as W2 or 1099s if self-employed), and we’ll help get you in and out fast! Refer a friend to us, and when they complete their taxes, you get $50 cash! We're dedicated to empowering children, families, and communities worldwide to reach their full potential by tackling the root causes of poverty and injustice.